NORWOOD, MASS – The craft beer community is one that aims to promote inclusion, and three breweries are coming together to do just that. 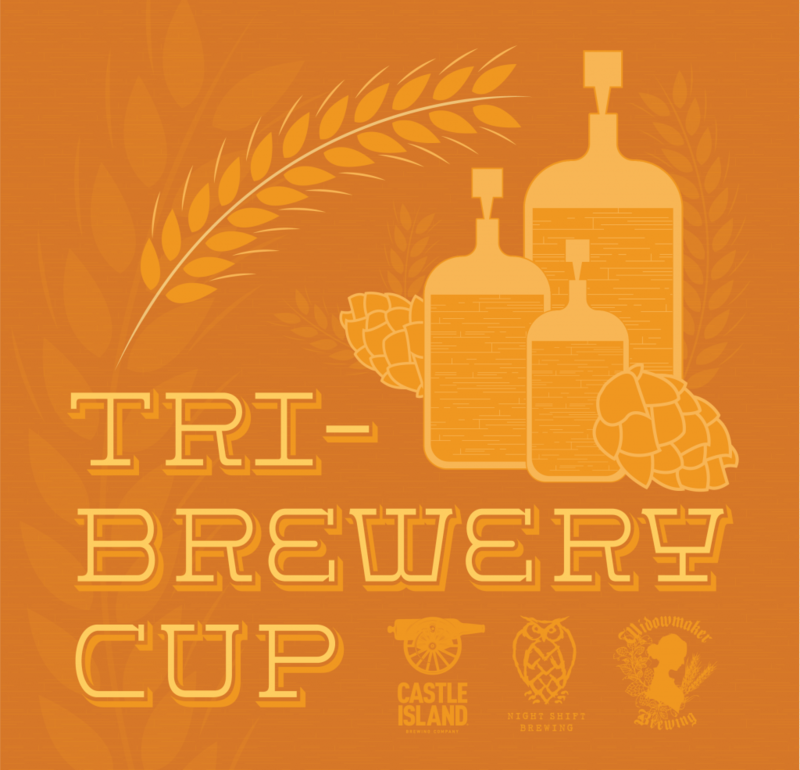 Castle Island Brewing Co, Night Shift Brewing, and Widowmaker Brewing are partnering for a homebrew competition, the Tri-Brewery Cup, and a chance for individuals to see their recipes scaled up and brewed on a professional system. The Tri-Brewery Cup invites homebrewers to submit their recipe for a beer style of their choosing which will then appear before a panel of judges that are comprised of brewers from each of the participating Massachusetts breweries. The inaugural Tri-Brewery Cup celebrates the roots from where many breweries have been founded. The Tri-Brewery Cup registration window is officially open and will close on Friday, 2/8, at 11:59pm EST. Interested homebrewers can fill out the form here: cibeer.co/TBCregistration, and will submit their finished recipes by Thursday, 3/7, in order to be judged by the panel of brewers. Once reviewed, Castle Island, Night Shift, and Widowmaker will select a submission that speaks to them in terms of quality and style which will move the Tri-Brewery Cup into its next round of top three finalists. These finalists will then brew their recipe at the brewery that selected them for the second stage of this contest held on Monday, 3/25. After the brewing, fermentation, and packaging processes are completed, Castle Island, Night Shift, and Widowmaker will each tap the beer brewed on their system at their respective taprooms on Thursday, 4/11. This next round in the Tri-Brewery Cup competition will fall to the votes of taproom-goers to select the overall champion. In the following weeks, individuals will visit Castle Island, Night Shift, and Widowmaker’s taprooms in order to try each finalists’ recipe, and will have till Friday, 4/26 at 12pm EST to submit their votes and rate each homebrew recipe. Voting will rely on a rating system that takes into account appearance, aroma, taste, and the overall enjoyment of the beer. The voting form link will be available once each beer is officially tapped on Thursday, 4/11. The winner will be chosen based on the highest overall average and will be announced at the culmination event held on Saturday, 4/27 at Castle Island’s Norwood taproom. Along with the homebrewers’ scaled up recipes, Castle Island, Night Shift, and Widowmaker will come together for their own collaboration beer slated to be released at the event on April 27th. The details around this beer will be announced in the weeks leading up to the event date, and will be an epic conclusion to a competition steeped in camaraderie. For Tri-Brewery Cup updates, individuals can RSVP at the Facebook event page (cibeer.co/TriBreweryCup), and follow each brewery’s social accounts for new details as they come.